Why Russian subways are so deep? This explains by geological conditions: Moskva river in Moscow, Neva river and swampy ground in St. Peterburg. Constructors had to dig subway tunnels under the rivers. Most station depth rarely exceeds 50 meters in Moscow, average depth in Petersburg is 60 meters. Admiralteyskaya (86 metres (282 ft)) is the deepest metro station in Russia. 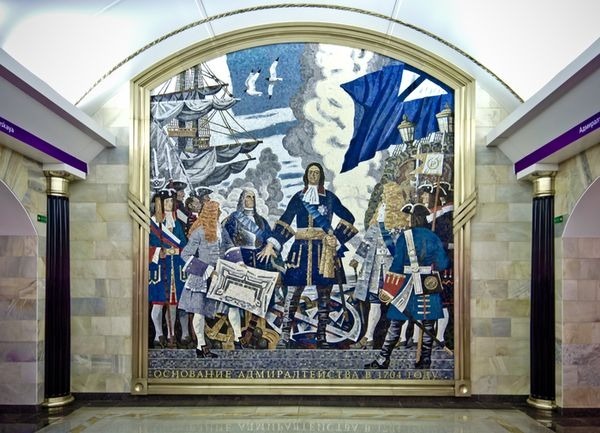 St. Petersburg’s Metro is built in the dry Cambrian clay layer mainly. Occurrence depth of the layers vary in different parts of the city from 0 meters from the surface to average 30-70 meters. It all depends on the geology of specific areas of the city. Anything above Cambrian clay is mainly water-saturated soil: loam, sand and peat bogs. Sometimes flow earth can be freezed liquid nitrogen. Cambrian clay layer is ideal for the construction of the metro tunnels. Cambrian clays are dry, water-resistant, and can be developed easily. They almost don’t give leakage, that’s why the air in St. Petersburg’s metro is much drier than in other cities. In some places these layers come close to the surface (Kupchino, Moscowskiy Prospect district), somewhere they go directly to the surface (pr. Veteranov district). Terminal stations, near depots (Parnas, Devyatkino, Kupchino, Rybatskoye) were built on the surface. 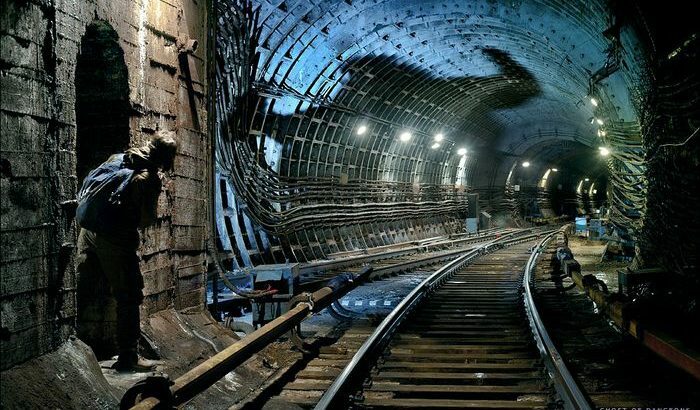 In these places, tunnels and ventilating shafts come to the surface through the Cambrian clays and water-saturated subsurface soils, therefore, construction of sloped tunnels in St. Petersburg is very expensive. Other Russian metro depth. permalink. It’s pretty annoying for locals when it takes like 5 minutes to go up on an escalator, not very convenient.